← HO MDT Reefers are in the mail!! The 1st Qtr. 2014 Central Headlight is arriving in your mailbox. 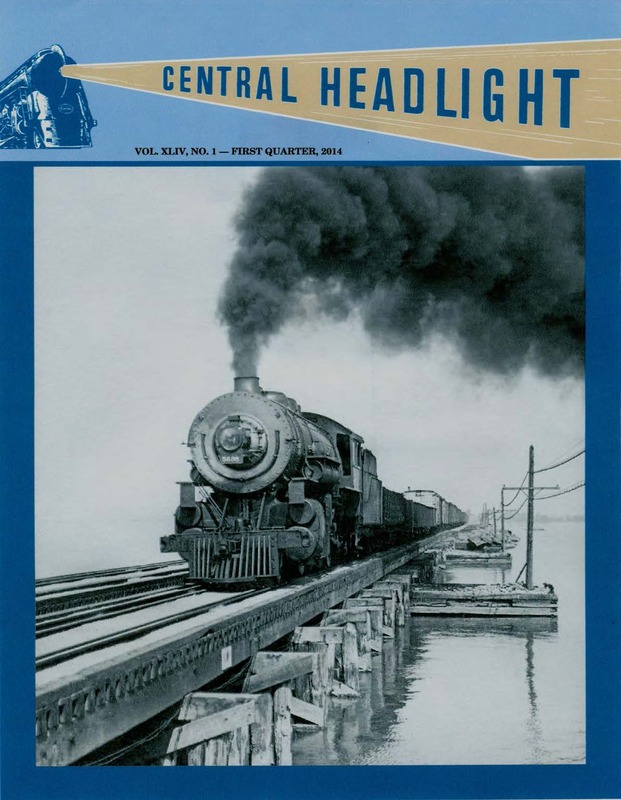 The 1st Quarter 2014 issue of Central Headlight is scheduled to be mailed to all 2014 members during the first week of February. A PDF of this issue will also be emailed on the mailing date to all 2014 members who requested this service. This is a large, 48-page issue with four major features, three shorts, and the usual columns. The lead story is Part 1 of a two-part article that traces the difficult construction and early history of New York Central’s lines between Cleveland and Toledo, Ohio. Other features include an article on the history and restoration of the NYC station at Utica, which is celebrating its 100th birthday this year; a beautifully illustrated article on the restoration of the 1948 observation-sleeper-lounge car Hickory Creek; and a story concerning the frustrated efforts to save the famous Hojack Swing Bridge at Rochester, New York. There is sure to be something of interest to everyone in this great issue of the Society’s highly acclaimed magazine. This entry was posted in Central Headlight, NYCSHS "Collinwood Shop" Your NYCSHS Hobby Store, NYCSHS News. Bookmark the permalink.